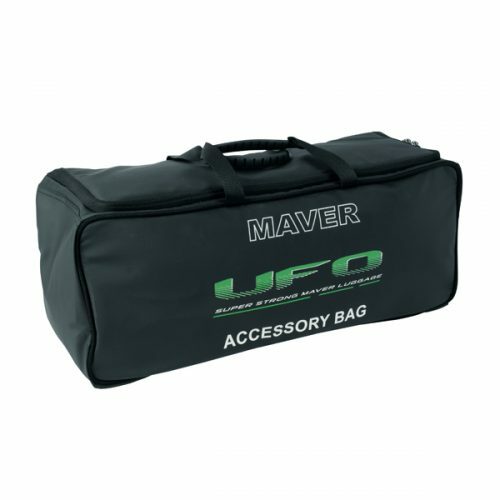 A classy new luggage range which perfectly compliments the Maver UFO seat boxes. 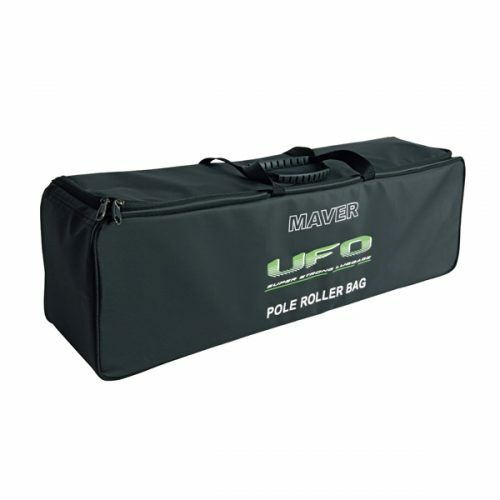 Very distinctive and made from top quality, heavy duty PVC fabric. 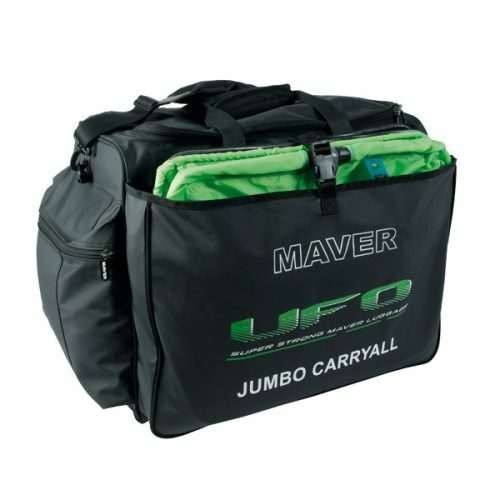 This new jumbo carryall from Maver features a reinforced base with mud feet, heavy duty two-way zip and pullers, a large outer pocket for keepnets and two zipped end pockets. 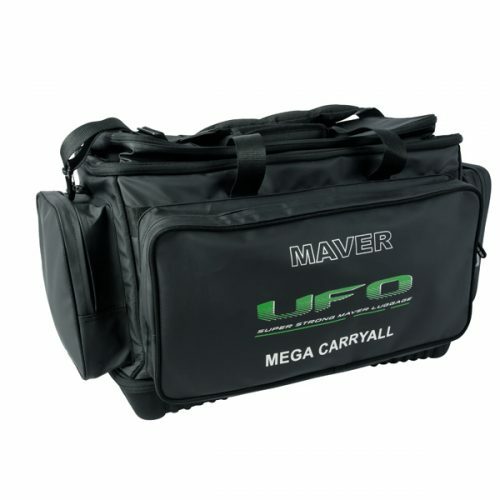 The inside is partitioned via a removable internal divider allowing for organised storage. 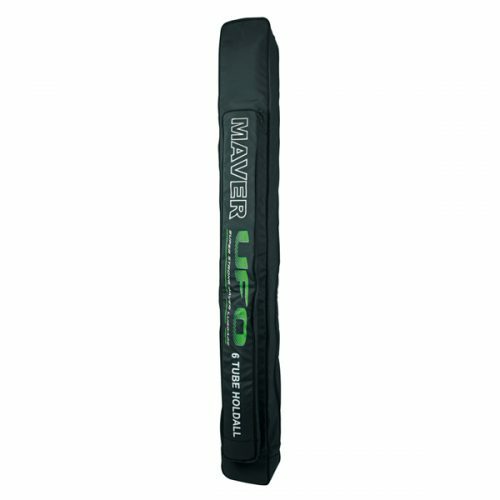 A padded detachable shoulder strap and carry handle complete the impressive specification.